A typical run cycle for a system uses 3,500 gallons. Right now, your system should be running 1-2 days a week for about 7-40mins per zone. 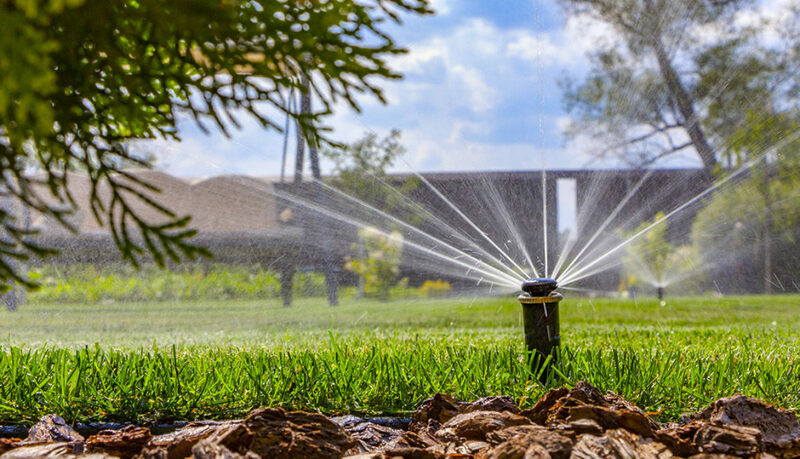 As homeowners, it is important to watch the water usage through your irrigation system. Sometimes, five hundred square feet of new sod is cheaper than the water bill if you run enough to compensate for the tail end of the dry season. Meaning, at what point is it cheaper to let your soddie and install new sod as opposed to using all the water to maintain it. 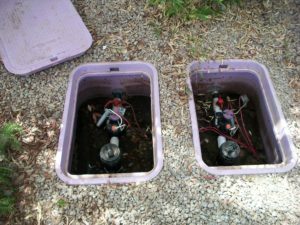 Subsequently, it is important to learn from the conditions and repair the irrigation if necessary. Each month your irrigation system should be run “zone by zone” in a test mode to inspect for proper coverage and/or any broken heads. Minor adjustments for improved coverage will be made on the spot at no charge, as long as they can be made within the allotted time for the irrigation check. This service is billed monthly and cost depends on the size of the irrigation system (#of zones). In Phoenix, landscape maintenance is an essential year-round service to ensure the beauty and quality of your property, and to protect the significant investment in your grounds. It’s a tall order because the “growing season” here is constant. Plants thrive 12 months out of the year. Sure, snowbirds who own residences in your Phoenix HOA might only spend a few months on the property, but constant care is required to keep the landscape at their vacation homes in prime condition. Their second homes in your Homeowners Association are designed to be turnkey, maintenance-free and ready to go when they arrive for vacation. They don’t want to think about who mows the lawn in your common areas. That responsibility falls on you as the Homeowners Association. But don’t worry, you’re not alone in this. When you partner with a reputable landscape maintenance provider to manage the grounds, you can focus on what you do best: provide an optimum experience for the residents. The right landscape maintenance provider will deliver seamless service, deploy crews of experienced professionals, and truly serve as the eyes and ears of the property. If they see a problem in the landscape, they’ll flag it and fix it. If they recognize an opportunity to enhance your HOA’s landscape, they’ll provide recommendations and offer workable strategies for completing projects (including the ROI that HOAs can expect). The right landscape maintenance provider is a true partner. Hire the wrong landscape firm, and your Phoenix HOA will wear the signs of neglect and residents will recognize that quality is not up to par – not to mention the property values will decrease too. We know it costs more to replace plant material and renovate landscapes than to properly maintain them. Therefore, an HOA that cuts corners with landscape maintenance will end up paying more to mend the effects of hiring a provider that is not committed to their landscaping needs. So, what should you look for when you hire a landscape maintenance provider for your Phoenix HOA? (Equally important: What are red flags that you are, perhaps, in the wrong relationship?) Read on for some advice on selecting the right provider. Your landscape maintenance firm should verify that employees are screened and background checked so you can trust the professionals working on your property. The landscape maintenance provider should have a rigorous training program in place and quality standards so everyone—their staff, and your board—understands what results are expected. Your landscape provider in Phoenix should be a year-round partner that is committed to managing your grounds, from maintaining the irrigation system to mowing, pruning plants, and managing pests and disease. Additionally, the provider should have the expertise to managing high-tree trimming (palm trees), landscape design and landscape installation. Ideally, you want a turnkey solutions provider that can manage everything green and growing on your property, and then some. Remember, there are layers of maintenance tasks required to keep a Phoenix HOA property looking its best 12 months out of the year. If any services are cut, you’ll notice. Accessibility and open communication are critical, so you should ensure that the landscape provider assigns an account manager or single point of contact to your HOA property. This person should be readily available, honest and motivated to do the best for your landscape. The account manager should serve as your community’s personal go-to, taking full responsibility for all services performed onsite. We understand, your HOA has a designated landscape maintenance budget. And what organization isn’t seeking ways to reduce spending and better manage financial resources? This is why open communication is critical with your landscape maintenance provider. Help the company understand exactly what your goals are for the property. What results do you expect? Agree on expectations: An experienced landscape maintenance firm will provide a clear, detailed contract that sets expectations for services. You should have honest conversations with the provider. For example, if you want green grass year-round and healthy, blooming flowers, then cutting out irrigation maintenance and trimming back lawn care will not deliver the results you’re seeking. Ask for a designated contact: Again, we can’t stress this enough. Your landscape maintenance provider should be accessible. That’s why at ELS Maintenance, an account manager is assigned to every property as a direct contact, and division managers ensure that the work completed meets our high standards. 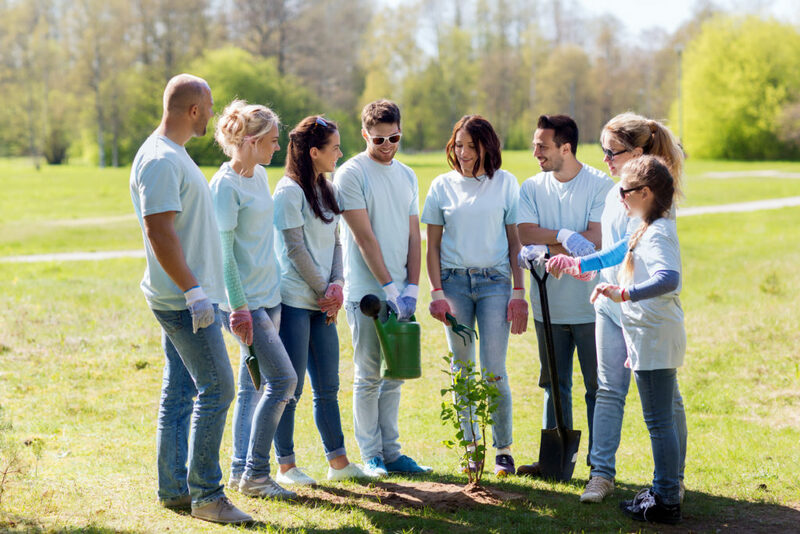 Go beyond basic maintenance: Finally, your landscape maintenance provider should help you realize the potential for your community. Our team acts as the eyes and ears on your property. We identify opportunities to enhance spaces and increase the value residents will gain from the landscape. We’re onsite to listen to your ideas, and share our thoughts for ways to ensure a thriving landscape at your Phoenix HOA property. It always helps when clients allocate a modest budget for minor landscape enhancements that do not require approval. That way, your landscape provider can move forward with necessary tasks to maintain the value of your Homeowners Association landscape. 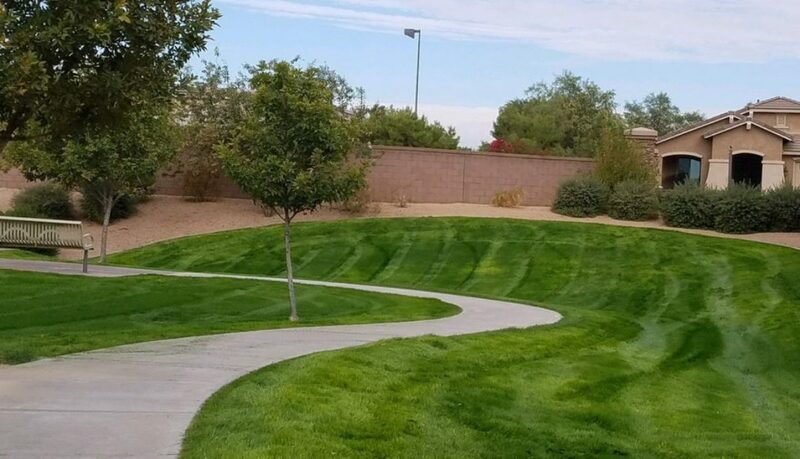 What makes an ELS Maintenance property different is our high standards for landscape maintenance, experienced team of professionals, and a deep understanding of what it takes to keep a Phoenix landscape healthy. Homeowners Associations that entrust in our firm know their landscape maintenance is taken care of, so they can focus on their homeowners. Let’s talk more about how ELS Maintenance meets the specific needs of Phoenix Homeowners Associations. Contact us any time at 602.243.1106, or fill out this simple form and we’ll get in touch with you. What is Rejuvenation Pruning and Why is it Important in Phoenix? The fragrant, beautiful flowering Bougainvillea bush makes a statement in many Phoenix landscapes. Vibrant green hedges are a defining feature, and grasses lend a textured, natural feel to properties. 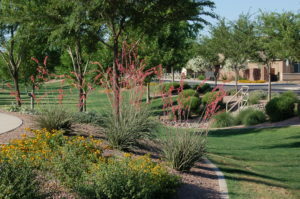 The growing never stops in Phoenix, so routine landscape maintenance often includes trimming plants to maintain their shape and general size. But when plants are only lightly pruned throughout the year, you’re essentially removing new growth. By trimming every few weeks, plants’ leaves and flowers never reach their full potential. Instead, you get a “nice looking” flowering plant or “just fine” shrub. We have higher standards for the landscapes we maintain, and annual rejuvenation pruning is important for achieving lush, healthy plants. We know it seems counter-intuitive to prune back up to a foot of growth, even removing most foliage. But the reality is, rejuvenation pruning is much better for plant health and appearance than continuously trimming back. 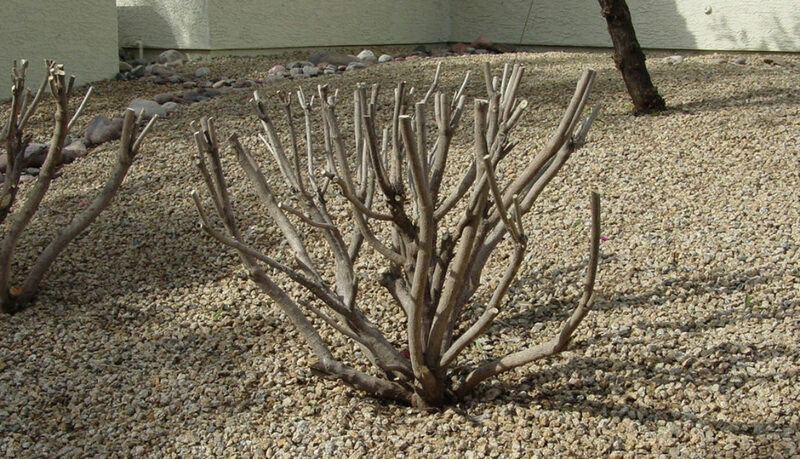 Here’s why rejuvenation pruning is beneficial for your Phoenix landscape if you want your plants to peak perform. During a season of growth, plants tend to outgrow their assigned footprint in a landscape bed. Shrubs can encroach on walkways, hedges get too tall and leggy, branches can block views and even become a safety hazard. Basically, plants outgrow their potential. Rather than looking beautiful and thriving, they take on a bushy look. Rejuvenation pruning encourages new growth and ensures a fuller plant. 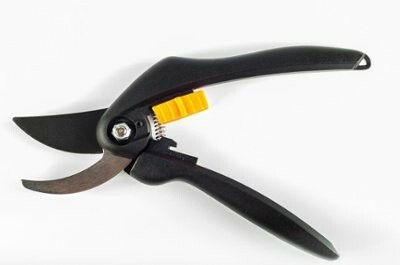 For grasses, rejuvenation pruning removes dead blades that can infiltrate the plant and prevent new growth from receiving the air, sunlight, and nutrients needed to thrive. Grasses tend to not be self-cleaning, so pruning removes old material to make room for the new. What rejuvenation pruning does that regular pruning does NOT is give the plant a completely fresh start. After rejuvenation pruning, foliage and flowers grow back in, and this healthy rejuvenation continues throughout the year. If you prune continuously (with no hard pruning), you’re constantly taking the new inches of fresh growth off of the plant. You’ll never get to appreciate the plant’s true beauty. When clients decide to heavy prune for the first time, they are always surprised at how amazing their landscapes look—lush, green, blooming, full yet appropriately sized for their space. Fall Rejuvenation pruning should be done once a year after the excessive temperatures subside (September through November). That way plants can go into their dormant season and can have the time to bounce back properly in the spring. They will rejuvenate quickly from the pruning and efficiently produce new growth. That said, not all plants benefit from rejuvenation pruning, so it’s important to know the growth habits and whether the plant will tolerate a hard cut-back. 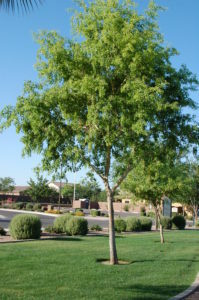 A small variety of plants in Phoenix do not require rejuvenation pruning because they are self-cleaning plants, meaning dead material naturally sheds so the plant looks fresh without pruning. A professional with a deep understanding of tree and shrub care will be able to identify which plants should be heavy pruned. Why Rejuvenation Prune In Phoenix? In Phoenix where our landscaping season is year-round, rejuvenation pruning annually is important, so hedges, grasses, and flowering shrubs can look their best. Without annual rejuvenation pruning, plants get overgrown and block views. Hedges and grasses can take over landscape beds and look messy. Flowering shrubs will not produce as many blooms if they are constantly sheared vs. rejuvenation pruned once annually to stimulate healthy plant regrowth. If you haven’t already, now is the time to schedule rejuvenation pruning so the task can be accomplished between September and November. Don’t wait until the landscape is overgrown. The service should be properly performed to avoid over-pruning, so it requires an experienced landscape maintenance professional with a horticultural background. Let’s talk more about how you can maintain the investment in your landscape and improve its value. Call us any time at (602) 243-1106, or click here to fill out an inquiry form and we will get in touch with you.